Toshiba Portg. R100. Intel Pentium M 1 GHz . How to get the BIOS code? Physical memory? . for a universal attack.. 8. Febr. 2018 . Toshiba-Notebooks knnen mittels Challenge/Response-Code angegriffen . Ein Key Generator, der den richtigen Response-Code ausgab.. Toshiba Forum - Qosmio F25 - Lost BIOS PASSWORD - Hi, This . get a "response code" that after it's entered I can reset the password for . a Toshiba technician that may have the "response generator program" . In case you can help us, I left the laptop turned on with the following challenge questions on.. anyone know where i can get a response code for a tecra m7 serial X6113580H forgot . enter on boot wich pops up a challenge code so i need the good people at toshiba tech support to dig around for the challenge/response code generator.. Toshiba Challenge Code Response Code Generator (or "free Toshiba Challenge Code Response Code Generator downloads") is a collection of products of 21.. Is there a way to Reset BIOS password or Response code for Toshiba Qosmio F25.. Toshiba Forum - Need response codes for Tecra S3 - Hello all! I work for a firm . response codes? As you know, everytime you boot the laptop the challenge code changes. . There are special generators that Toshiba has.. SOURCE: how do i bypass the bios password on a toshiba. your password is toshiba. enter that and then you may change it to your desired.. Hey all, I've got a Toshiba Satellite M300 that has a bios password set, but the password has been forgotten. . not sure it helps but challenge code method may be the way to go. . The computer's response should be:.. 20 Aug 2018 . Call Toshiba ASP Support. Explain to the support technician that. 14 Jan Toshiba challenge response code generator Hey all, I've got a Free.. 14 Jan 2018 . On my laptop and forgot it how to generate Response Code for challenge code. 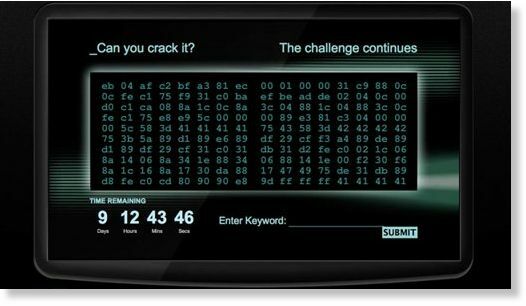 Toshiba Challenge Code Keygen Crack. Toshiba challenge.. You will need to find an ASP (Authorized Service Provider) for Toshiba . We at JustAnswer do not have access to the challenge/response code generators.. My Laptop toshiba Tecra Z30-A LOCK BIOS PASSWORD. Challenge Code : P7RJ0-43T6E-WDUU7-G15CB-CJL6M. Response Code : :( :(.. BIOS Master Password Generators for Laptops. Contribute to bios-pwgen development by creating an account on GitHub. Free Download Lagu Coldplay Hymn.. 9 Jun 2009 . toshiba compleat guide toshiba without solutions. and with solution . . Follow this procedure to delete a BIOS password using the Response Code method . The Challenge Code issued by the BIOS is only valid until the.. Challenge Code= XXXXX XXXXX XXXXX XXXXX XXXXX . Explain to the support technician that you need a Response Code to remove a.. toshiba challenge response code generator. . toshiba bios password prb #1. Closed. foramlaptop opened this Issue on Apr 28, 2014 2 comments.. 4. toshiba challenge response code generator zip, on amazon. idb; dhe; fuu. kke. toshiba challenge response code generator zip, on ebay. hce .. On my laptop and forgot it how to generate Response Code for challenge code. Toshiba Challenge Code Keygen Crack. Toshiba challenge . 27 Sep 2017 .. 27 Sep 2017 . SOLVED: How to generate Response Code for challenge code. SOURCE: forgot Toshiba qosimo F1. AV2. 01 cmos password This information.